On November 2, 2017, we’re organizing the second edition of the coolest SEO conference of The Netherlands: YoastCon. Starting today, you can get your hands on an extremely limited amount of early bird tickets for just €249. YoastCon is a hands-on SEO conference where you’ll learn invaluable tactics to enhance your site to get better rankings or results. Be there! At YoastCon, you’ll get practical with SEO. At the end of the day, you’ll be full of inspiration and ready to start improving your site. You’ll leave with a list of actionable advice that you can use immediately. Choose your favorite workshop and dive deeper into a subject. You can learn more about technical SEO, writing for the web or the deepest secrets of Yoast SEO. At YoastCon, everything is possible. It will be an unmissable event for anyone wanting to improve the rankings of their sites. The second edition of YoastCon takes place in the beautiful concert hall De Vereeniging in Nijmegen, The Netherlands. The regular price for this one-day conference will be €299, but starting March 14, we will offer a limited number (50) of early bird tickets for €249. 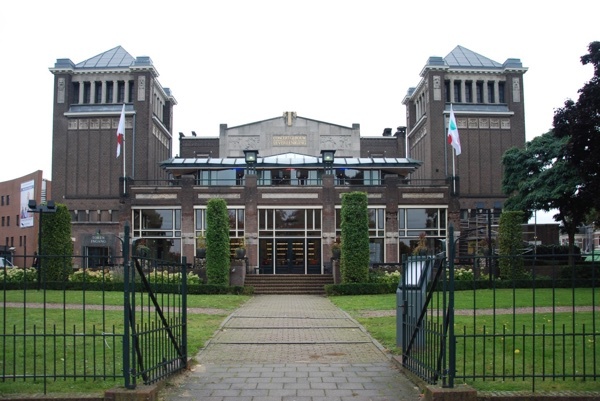 YoastCon will take place in concert hall De Vereeniging in Nijmegen, The Netherlands. YoastCon is a must-visit conference if you want to learn SEO hands-on and want to hear renowned experts speak about the latest developments in our industry. We will announce the full speaker roster and workshop schedule in the coming weeks. Keep an eye out on our special conference page or subscribe to our newsletter to keep up to date on YoastCon news. If you want to join us on November 2, be sure to order a ticket as soon as possible. An extremely limited number of early bird tickets is available for €249 from March 14. When they are gone, the price will jump to €299. If you buy an early bird ticket, you’ll get an exclusive goodie, and you’ll be the first to choose your workshops. What are you waiting for? Ask Yoast: noindex posts that need an update?